We all know the health risks of smoking, drinking and eating too much. But sleep expert Neil Stanley says we don't pay attention to the risks of having too little sleep. In this week's Scrubbing Up health column, he warns it is time to "reclaim the night". Good sleep is vital for good physical mental and emotional health - but unfortunately we seem to live in a society that has forgotten this fact. In terms of healthy living, sleep is as important as good diet and exercise. Why do we go through life feeling this tired? Poor or inadequate sleep can have serious consequences on overall health and wellbeing and has been shown to lead to lower immunity, poor performance and mood changes. In the longer term, inadequate sleep is associated with a greater risk of a number of diseases, such as heart disease, depression and diabetes. There are also important consequences of poor or inadequate sleep which negatively affect the way we feel and perform during the day. We are living in an increasingly "tired" society. Think about how you feel at the moment with one as very tired and 10 as feeling wide awake. I reckon very few of you are a seven, let alone a 10. Why do we go through life feeling this tired? One reason is the increasing extension of the daytime activities into the night. When I was growing up in the 1970s, Tomorrow's World each week promised us a future where, due to advances in technology, there would be so much leisure time that we would have to come up with new ways of amusing ourselves. Unfortunately what was created by all this new technology was the 24/7 society. Technology never sleeps, and thus people can work around the clock - whether they are in the office or at home. The long hours, information overload and stresses associated with 21st Century living negatively affect our sleep which, in turn, is detrimental to our health, work performance and even our relationships. As a society we need to give much more serious consideration to our work/life balance particularly with regards to sleep. For example it has been estimated that in future a third of the workforce will be working shifts, mainly in the service sector. However there is a large body of evidence which shows that working shifts is bad for health and increases accidents at work. So, whilst it is of course important for some workers to work around the clock, does the convenience of paying a bill at 2am really outweigh the health risks of having so many people doing shifts? You would not want a drunken surgeon operating on you or a drunken train driver taking you to work, so why would you accept a tired one? It has been reported that tired drivers now cause more deaths on European roads than drunk drivers, and yet whilst it has become socially unacceptable to be drunk behind the wheel or in the workplace it is almost a matter of pride that we believe we can function properly when tired. Yet you would not want a drunken surgeon operating on you or a drunken train driver taking you to work, so why would you accept a tired one? The problem of poor sleep is perhaps even more important in children as it has been linked with increased risk of - amongst other things - obesity, diabetes, poor academic performance and behavioural problems. You only have to watch an episode of Supernanny to see how profound the positive effect of a good night's sleep can be on the behaviour of children. 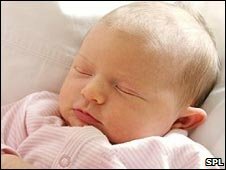 Over the past decade there has been an increasing body of evidence that shows that sleep plays an important role in regulating weight and controlling appetite, and so I find it surprising that when earlier this year the government started its Change 4 Life healthy living campaign there is no mention of the importance of good sleep. Isn't it about time we reclaimed the night for sleep?